Interest in cloud native technologies is ramping up in China. 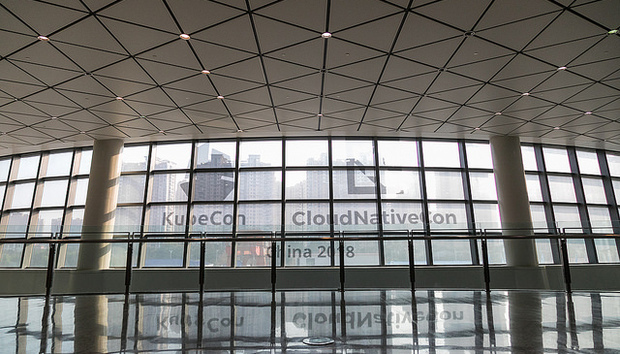 This was emphasized by the success of the Cloud Native Computing Foundation's (CNCF) first KubeCon + CloudNativeCon China this November, which saw 2,500 people descend upon the Shanghai Convention and Exhibition Center of International Sourcing for three days of talks, training sessions and roundtables. Over 10 per cent of the CNCF's 325+ members now come from China, as do approximately 29 per cent of the organization's Certified Kubernetes Partners, 22 per cent of its Kubernetes Certified Service Providers and 33 per cent of its Kubernetes Training Partners. "The CNCF launched three years ago with just one partner in China - Huawei. Today we have 39, including platinum members such as Alibaba Cloud and JD.com," says CNCF Executive Director Dan Kohn. "What inspired us to hold an event here in China was the level of engagement and adoption we've been seeing out of the country - especially around consulting and training. The fact that we were able to pull together 55 sponsors and sell out to 2,500 attendees is an indication that now was the right time." Kohn points out that many companies in China are adopting cloud native much faster than their European or American counterparts thanks to the ‘second mover advantage'.